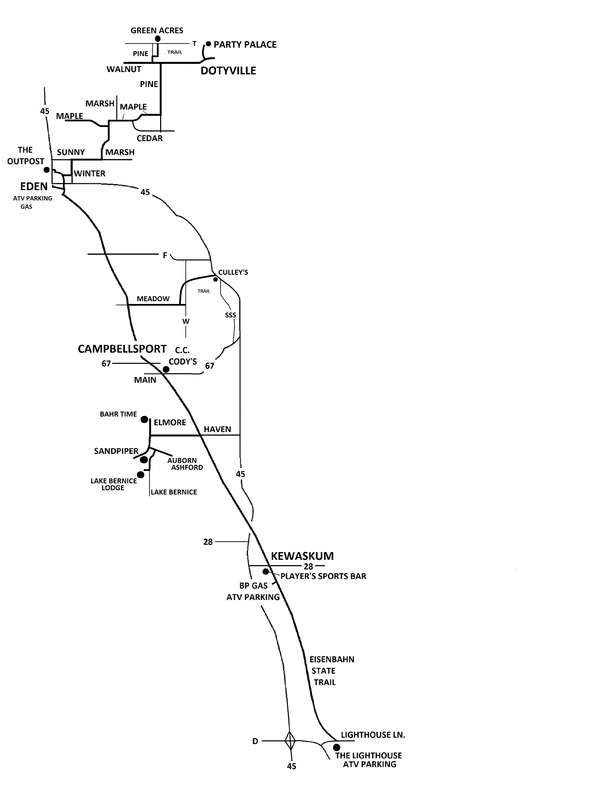 The Eisenbahn State Trail is a 25-mile multi-purpose trail surfaced with crushed limestone that extends from the City of West Bend and runs through the communities of Kewaskum and Campbellsport to the Village of Eden. The trail passes through the picturesque countryside, past the glacial scenery of the Kettle Moraine. Their are road routes that continue to Dotyville and St. Cloud and into the Sheboygan marsh when the swamp if frozen. 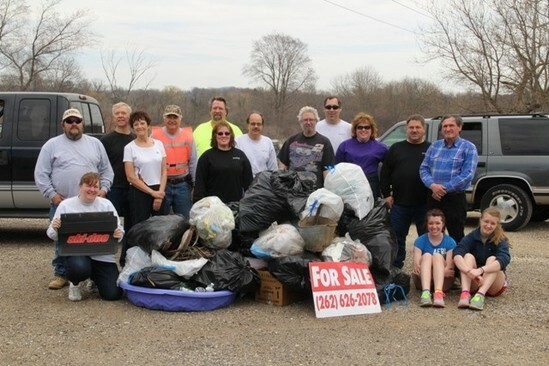 In 2010 Washington County began allowing All-Terrain Vehicle (ATV) use on the Eisenbahn trail on a trial basis. ATVs are currently permitted on the trail for about 7 miles from Lighthouse Lane to the Washington/Fond du Lac county line within Washington County. ATVs are not permitted in West Bend south of Lighthouse lanes. In Fond du Lac County, ATVs are permitted on the entire 12-mile length of the trail from the county line to Eden. To protect the trail from damage, the trail is closed to ATVs under certain conditions; please see the trail guidelines for more information. ATV operators must follow all Wisconsin ATV laws and all ordinances within any of the village limits. 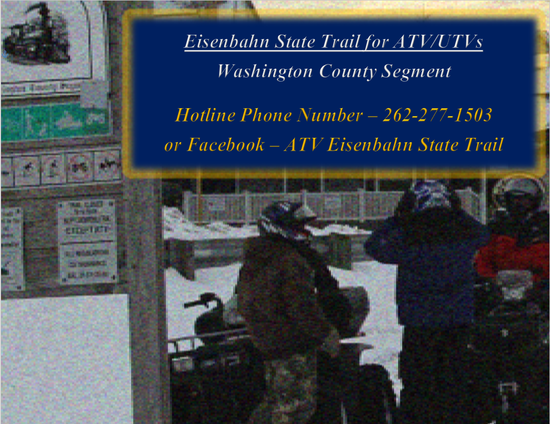 The Eisenbahn Trail is open to ATV use between December 15th and March 15th when the ground is frozen and the temperature is 28º or lower. ATV riding is allowed on the Eisenbahn Trail only. As always please respect private property while riding.